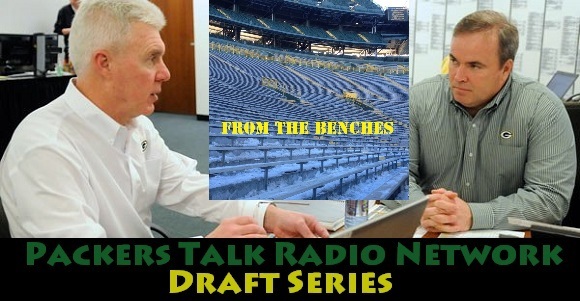 From the Benches brings you the best in the Packers Talk Radio Network’s Draft Series. In this segment, they speak with DraftDudes.com Cody Bauer about this year’s class of wide receivers. With James Jones gone, the odds are crazy good that Ted might just selected a first or second day WR, and if he does, you need to listen to these guys prep you like no one else can do! This entry was posted in From The Benches, Packers 2014 - 2015 Season and tagged cody bauer, from the benches. Bookmark the permalink.